STSA staff recently came across a letter from STSA Past President, Edward R. Munnell, MD, including a photo taken sixty years ago at the 1955 American Association for Thoracic Surgery Annual Meeting in Atlantic City. The photo features five STSA Past Presidents, including Dr. Munnell himself (STSA Past President, 1967) along with James E. Dailey, MD (1962); DeWitt C. Daughtry, MD (1961); Joseph W. Peabody, Jr., MD (1977); and Hawley H. Seiler, MD (1971). I just found this old photograph showing many of the lovely members of the STSA and six past presidents. This also shows close friends of mine from the thoracic cardiovascular surgery section of the Henry Ford Hospital in Detroit. I hope this will be of interest. 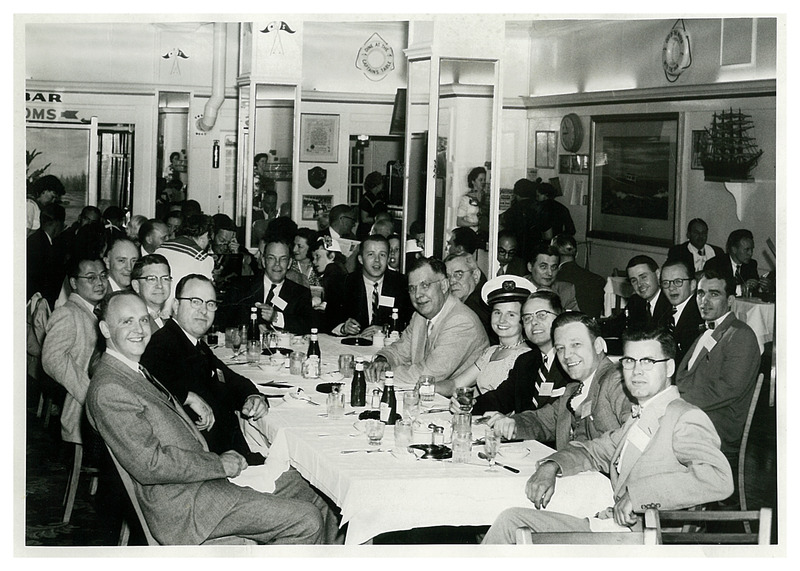 STSA Past Presidents, members, and friends attended the AATS Annual Meeting in Atlantic City in 1955. If you have historical STSA photos that you would like to share with the STSA community, please contact STSA Executive Director, Megan Drumm, at mdrumm@stsa.org. 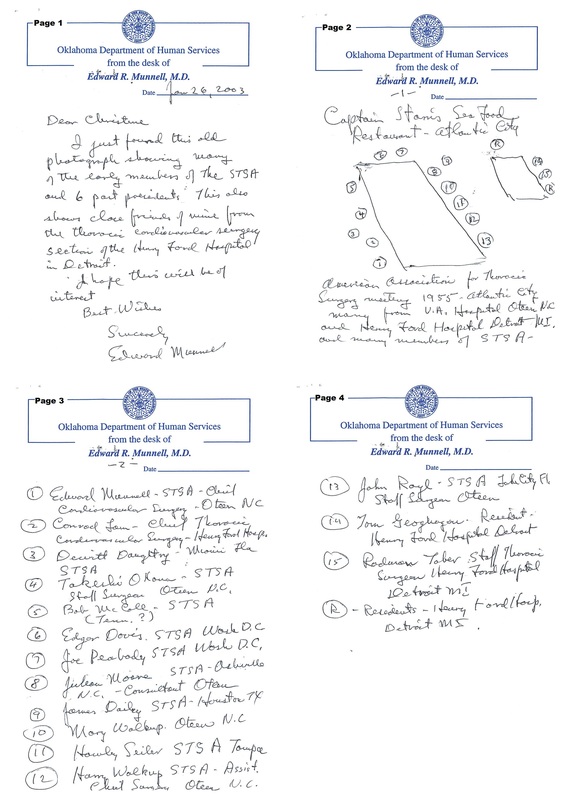 Dr. Munnell’s note included a detailed diagram identifying each individual pictured.